Dates: Second Sunday of each month. Opens 9.30am. Venue: National Motorcycle Museum, Coventry Road, Bickenhill, Solihull, West Midlands, B92 0EJ. This is on junction 6 of the M42, next to Birmingham Airport and the NEC. Closest railway station is Birmingham International. Around 50+ dealers from all around the UK and is always on the second Sunday of each month. March/June/September/December are the ‘Big’ fairs, which have even more dealers. 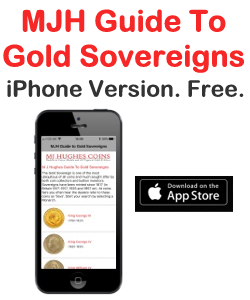 A large selection of modern, old, gold, silver, tokens, hammered, banknotes, medal, UK and foreign. Pretty much everything. 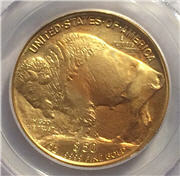 Books, wallets and coin collecting equipment also available, especially at the big fairs. Dealers will buy as well as sell and they are always up for a friendly chat and helpful advice. It’s your chance to see before you buy, talk to an expert, get evaluations, haggle the price and find bargains. Easy to get to, right on the Motorway junction (M42 J6) and plenty of free parking. The train station and airport are within walking distance. The fairs attract many International visitors. You can pay to go into the Motorcycle museum (website) and there is sometimes another fair on at the same time (such as clocks, glass, records, etc). The museum has a shop, restaurant and cafe that is accessible to coin fair visitors. The fair opens at 9.30am. Although the official closing is 3.30pm, some dealers start to leave from about 2pm. Just a few pounds to get in so it’s well worth a visit. 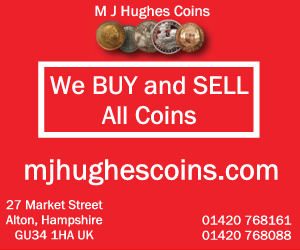 I (Les) am usually on the M J Hughes Coins stand so come and say hello.